2018 treated us to a feast of hurling with Limerick ending a 45-year famine by lifting the Liam MacCarthy Cup after a nail-biting final against Galway. 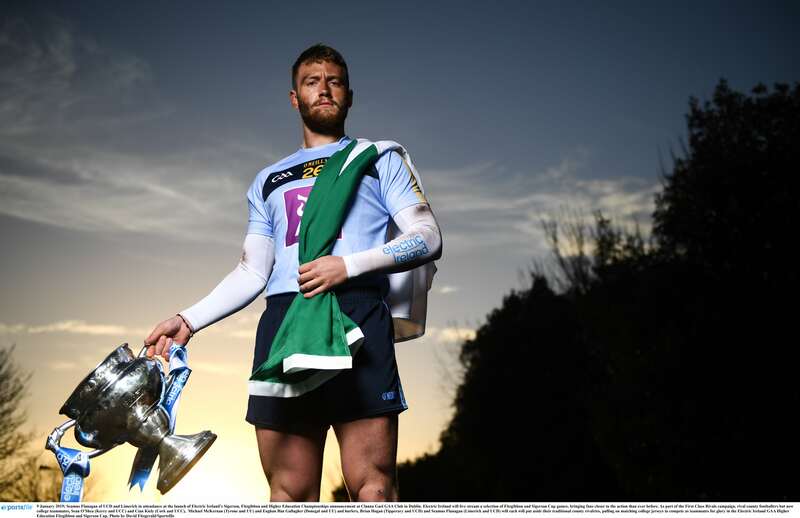 Many would assume that the players would still be revelling in their success, but on the contrary, Limerick full-forward, Seamus Flanagan, has long since put the celebrations behind him and is itching to take to the field once again. It was quite a year for the 21-year-old who was a relatively unknown entity outside of the county until last January, when he was handed his Limerick senior debut by John Kiely in a Munster Senior Hurling League encounter with Cork in Mallow. A game he is not likely to forget anytime soon. In total, Flanagan scored 3-30 for Limerick in all competitions last year while also putting in impressive performances for UCD in the Fitzgibbon Cup. He was one of many young hurlers featured in John Kiely’s team last summer, who all tasted All Ireland success at U21 and minor level together. Flanagan knows that the team will have a target on their backs now as other teams join the hunt for All Ireland glory, but that doesn’t bother him in the slightest as he looks to use his underage experience to their advantage. 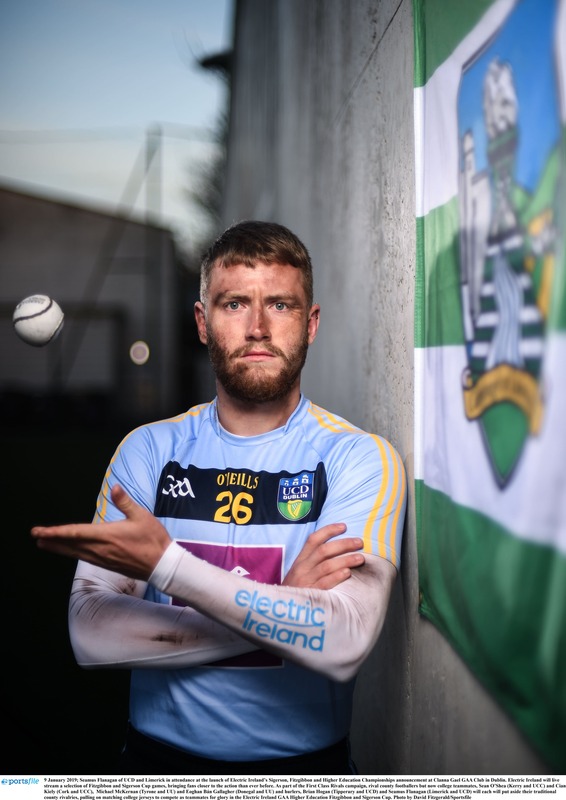 That unbeatable mentality was to the fore with Limerick throughout last season, from the moment they produced their stunning comeback against Galway in the Division 1B decider, and remained with them as they went on to record wins over Tipperary, Waterford, Kilkenny and Cork. Flanagan predicts that, because of their ferocious work rate and drive, his side will be even harder to beat in 2019. So clearly, the players are raring to go, the fans are counting down the days, bring on the 2019 season. Electric Ireland launched the Sigerson, Fitzgibbon and Higher Education Championships today, announcing that Electric Ireland will live stream a selection of Fitzgibbon and Sigerson Cup games, bringing fans closer to the action than ever before. As part of the First Class Rivals campaign, rival county footballers but now college teammates, Sean O’Shea (Kerry and UCC) and Cian Kiely (Cork and UCC), Michael McKernan (Tyrone and UU) and Eoghan Bán Gallagher (Donegal and UU) and hurlers, Brian Hogan (Tipperary and UCD) and Seamus Flanagan (Limerick and UCD) will each will put aside their traditional county rivalries, pulling on matching college jerseys to compete as teammates for glory in the Electric Ireland GAA Higher Education Fitzgibbon and Sigerson Cup.